PMG physicians accept the following health plans with special rates for low to mid income families. IEHP offers plans for low-income families with children, senior and people with disabilities who qualify for Medi-Cal. Families with a moderate income that do not qualify for Medi-Cal, may qualify to get their children low cost health insurance through IEHP Health Kids. Call 1-888-860-1298. A family of four can earn up to $5,763 a month and still qualify. Molina’s Medi-Cal plan plans for low-income families with children, senior and people with disabilities who qualify for Medi-Cal. To enroll in Molina’s Medi-Cal plan, please contact Health Care Options (HCO) at 1-800-430-4263. The Healthy Families Program is a low-cost health coverage that provides health, dental and vision coverage to children who qualify. For more information on Molina’s Healthy Families Program please call us at 1-800-643-7276 or the Healthy Families Program at 1-800-880-5305. Pinnacle accepts Medi-Cal patients with IEHP, Molina or Medicare. 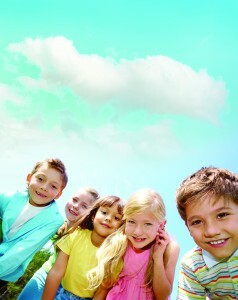 To apply for Medi-Cal, go to www.c4yourself.com. This website will also determine if you qualify for California State Cash Assistance, Food and Nutrition Beneifts and Medi-Cal. You can also apply for Medi-Cal with an eligibility worker stationed at county clinics or your local Department of Public Social Services. Individuals making up to $15,415 a year or families making up to $31,810 a year may qualify for Medi-Cal insurance at no cost to them. The new state health plan marketplace, will be offering insurance to all Californians with coverage effective January 1, 2014. You can learn about the plans and enroll starting October 1, 2013. Many people who currently do not qualify for low-income programs, will qualify for subsidies to make insurance affordable through Covered California.